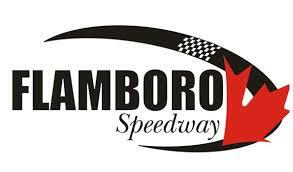 After getting dirty at Brighton Speedway, the OSCAAR Hot Rod Series are ready to get back on the pavement, beginning with this weekend’s Velocity 250 at Sunset Speedway. It will mark the fifth time the Hot Rods have raced at Sunset Speedway, following their inaugural appearance at the Velocity 250 last September. Thus far, we’ve seen Dan Archibald win three races, with Tyler Hawn picking up a pair of event wins. Following each of the events, regardless of the winner, many fans left the speedway talking about the battle for the podium spots, as the stars of the series have battled side-by-side for multiple laps without a single fender touch. Hawn will be hoping to pick up his third Sunset Speedway victory, building upon the two previous victories, a runner-up, and a pair of thirds. He enters this weekend as the points leader, looking to get back on the podium following a seventh-place finish at Brighton Speedway. Douglas Fischer hopes to get back on the podium as the Dog House team has had a couple tough weeks, including a crash at Brighton. Even with the bad luck, though, there has been nine top-seven finishes in the last 11 races, including four top-fives. His best finish at Sunset was in May with a fifth-place finish. The 2018 season marks the first year of OSCAAR competition for Billy Alderson Jr. and he certainly is making the most of it, as he scored his first career series victory a couple weeks ago at Sauble Speedway and no finishes outside of the top-six this season. He has been fast at Sunset Speedway, scoring a top-four finish in each of his three appearances. Nick Clarke will hope to repeat or better his Brighton Speedway performance, as he scored the team’s first top-five of the season. He finished seventh at Sunset Speedway’s Canada Day Special in July. Lance Foster hopes to have the same speed that allowed him to challenge for a win in his OSCAAR debut last season at Sunset Speedway. The team has been fast this year, with Miles Tyson finishing fourth at Sunset in July, and Adrian Foster finishing fourth at Brighton earlier this month. Jeremy McLean will be hoping to keep the positive momentum going after Brandon Crumbie gave his team a runner-up finish at Brighton. Notably, he did well in his most recent stint behind the wheel, too, finishing fifth at Sauble Speedway. Art Rodgers hopes his trip to Sunset Speedway goes better this time around, as mechanical issues have seen him miss the top-10 in both appearances thus far this season. Steve Book heads into this weekend with a smile on his face after scoring his first career series victory at Brighton Speedway. In three Sunset Speedway races, he has a pair of sevenths and a sixth. Steve Mayhew will enter this weekend with momentum on his side following five consecutive top-10 finishes. He finished 10th in his first appearance at Sunset in July. The McNicol team challenged for the win at Sunset Speedway last year, and hopes to find some luck this time around following Kenny’s 13th-place finish at Sunset in July. Jerry Broom has gotten better with each of OSCAAR starts, and will hope to build upon his sixth-place finish at Jukasa Motor Speedway earlier this year. Paul Senior hopes to have a good outing in his first OSCAAR trip to Sunset Speedway after scoring a season-best fourth at Kawartha Speedway in July. Brad Martin hopes to have some better luck than he did at Brighton, perhaps repeating or bettering the third-place finish from Kawartha in July. He finished fourth in the season-opener at Sunset Speedway in May. Dan Price’s team looked to be in the catbird’s seat for success at Brighton with Charlie Sandercock behind the wheel – until a mechanical issue dropped them deep in the field. He has ran well at Sunset Speedway previously, scoring a pair of fifths last year. Derek Henderson will also be looking for a good run, following a 12th-place finish in his most recent OSCAAR appearance. Notably, he finished eighth at Sunset Speedway in July.